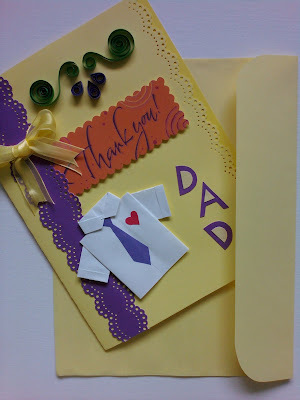 Fathers day is here - a perfect time to make him feel special. 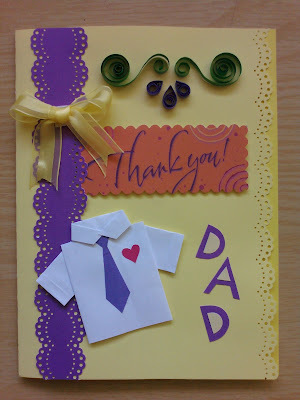 This is the finest and neatest of all cards I made so far - may be its coz of the soft colours I used. I tried a new quilled pattern - I am happy that it came out pretty neat.